The third installment of the highly-successful series and another New York Times bestseller, Think Like A Freak is Steven D. Levitt and Stephen J. Dubner’s latest — and most revolutionary — book. Taking their successful Freakonomics ideas to the next level, Levitt and Dubner offer an engaging and innovative new program sure to inspire and enlighten audiences. Each idea presented by Levitt and Dubner will be illustrated by a story or example in their ever-popular counterintuitive style, which will provide your audience with illuminating thoughts for profitable thinking. With their trademark blend of captivating storytelling and unconventional analysis, they take us inside their thought process and teach us all to think a bit more productively, more creatively, more rationally — to think, that is, like a Freak. Implementing automated email programs can be challenging, but the rewards are worth the effort. Join us for a close look at Allen Edmonds' successful approach, including a welcome series, cart abandonment, post-purchase, testing, outcomes and more. You’ll leave with actionable insights and ideas to improve your automated email programs right away. Bring your questions! Knowing who and where your user is on their buyer’s journey is key to an effective nurture strategy. However, lead nurturing and database management can be tricky when you have multiple data and email tools globally dispersed across your company. Stephen Bruner, Marketing Manager, Vertical Markets, Precor, came face-to-face with this challenge. By being stewards of their database, Bruner and his marketing team were able to consolidate their tools and data to implement automation into their email program and achieve a 74% increase in new leads through their revamped nurture process. In this session, Jacqui Kearns, Senior Vice President, Leader of Global Digital, Analytics, Operations and Technology, and Jeannine D’Allegro, Vice President, Global Leader of Digital Properties, Optimization and Social Media, Dun & Bradstreet, will share how their digital marketing team integrated email into their omnichannel marketing strategy. Learn how they incorporated large amounts of readily-available content on Dun & Bradstreet’s website into emails targeted to visitors, who previously interacted with content through various channels, as part of their strategy to increase re-engagement. What is a Marketing Skills Session? Focused on the individuals that do the creative and analytical work each day. In these sessions, you will learn how to hone in on your skills in messaging, design and analytics. What is a Marketing Strategy Session? In this type of session, you will learn how to cast a direction and implement long-term planning in an ever-changing digital landscape. Share your wisdom and get advice from your peers at expert-led roundtable discussions. You will learn about industry trends, exchange ideas and work through common challenges in the current digital marketing landscape. There’s a table for every topic and skill level, ranging from overall marketing strategy to social media to technology. Don’t worry; there are no sales-pitches allowed — only practical and educational conversation. Aaron Buchanan, Digital Personalization Manager, Finish Line, sought out to create a consistent cross-platform experience, leveraging customer behavior with relevant, targeted messaging. In this session, Flint McGlaughlin, Managing Director, MECLABS Institute, along with MECLABS’ research analysts, will be providing real-time feedback of audience-submitted emails. This session is designed to help you apply everything you’ve learned and determine what you can work on when you return to the office. Submit your pages by emailing them to live@marketingsherpa.com. According to the Adestra/Econsultancy Email Marketing Industry Census, 55% of marketers are still only using up to half the functionality of their ESP. However, 100% of marketers pay for 100% of that software, leaving plenty of potential ROI on the table. In this session, Toby McLelland-Taylor, U.S. Sales Manager and Adestra’s "Earl of Email," will share how email marketers can ensure they’re getting the most out of their existing solution and ensure they stop leaving money on the table every time they press "send." Five years ago, Microsoft launched the Microsoft Store, a premier destination for customers to experience Microsoft-related products and services. Shawna Dahlin, Senior Email Marketing Manager, Microsoft Store, and her team set out to improve the customer email experience by providing dynamic, relevant content. However, the team faced an all too common hurdle: a legacy of separate and multiple systems of collecting data. Despite this challenge, the program has seen a 1,200% lift in overall revenue during her four year tenure. Email marketing can be used to better understand what elements of your brand or product lead a customer to engage or purchase. Kate Ellis, Marketing Analyst, and Jeff Koleba, Vice President, Marketing and Programming, Kentucky Derby, will discuss how they put concrete data behind email newsletter content choices and began segmenting by sending compelling content directly to the customers who wanted it most. In this session, the Kentucky Derby will share how they used an email marketing campaign to identify what specific content drives customers to engage and how they used that data to segment their audience to better drive ticket sales. Every email marketing campaign offers a unique range of pervasive challenges to overcome through its journey from concept to delivery. In this fast-paced session, five experts will walk you through some of the biggest challenges faced in email marketing today. Whether you’re a seasoned pro or new to email, each speaker will share actionable takeaways you can use to improve your email campaigns. How do you know when it’s time to cleanse your list? Selecting a technology provider is an integral part of how your marketing department functions. How do you insure you’re getting the best value and return on your investment? In this fast-paced session, five experts will address the pain points in the technology selection process and how you can overcome them in six minutes or less. Should I build or buy technology? What are the problems ESPs can’t fix? Stephen J. Dubner is an award-winning author, journalist, and radio and TV personality. He is best known as co-author of the books Freakonomics, SuperFreakonomics, and Think Like a Freak. Dubner is also the host of the Freakonomics Radio podcast. Dubner maintains the popular Freakonomics blog, which has been called "the most readable economics blog in the universe" (which isn't saying much). He has appeared widely on television, including as a regular contributor to ABC News and as host of the Emmy-nominated NFL Network program "Football Freakonomics." Dubner is also the author of several other books, including Turbulent Souls/Choosing My Religion (1998), Confessions of a Hero-Worshiper (2003), and the children's book The Boy With Two Belly Buttons (2007). Flint McGlaughlin is the Managing Director of MECLABS Institute. The organization has partnered with key market leaders including, The New York Times, Microsoft Corporation, and Reuters Group. McGlaughlin also serves as the Director of Enterprise Research at the Transforming Business Institute, University of Cambridge (UK), as the Chairman of the Board of Governors for St. Stephen's University, and as a Trustee for Westminster Theological Centre. McGlaughlin originally studied Philosophy and Theology at the University of London's Specialist Jesuit College. Today, his primary research is focused on enterprise as transformative agent. His work has won multiple awards and has been quoted in more than 13,000 online and offline sources. Jose Palomino is the author of the very well-received book, Value Prop, which is at the heart of Value Prop Interactive and The Program. As President of Value Prop Interactive, Palomino has a strong track record of success working with business owners, mid-market CEOs and Fortune 1000 marketing teams who want to take ideas, products and services to market with greater consistency, speed and impact. With more than 25 years of leadership experience in technology and service sectors, Palomino is a proven strategist, dealmaker and presenter. Ever wondered why some things catch on and become popular while others falter? How to generate more word of mouth for a product or initiative you’re working on? Jonah Berger has the answers. He’s a marketing professor at the Wharton School at the University of Pennsylvania and author of the recent New York Times and Wall Street Journal bestseller Contagious: Why Things Catch On. Dr. Berger has spent the last decade studying how social influence works and how it drives products and ideas to catch on. He’s published dozens of articles in top-tier academic journals, consulted for a variety of Fortune 500 companies, and popular outlets like the New York Times and Harvard Business Review often cover his work. Aaron Buchanan is a digital marketing veteran, having served in various capacities for Internet Retailer's Top 500 brands for over a decade. In his current role as Digital Personalization Manager at Finish Line, he is charged with developing cross-channel marketing strategy to include delivering personalized experiences through all digital communication channels. He has great passion for leveraging data to facilitate engaging conversations between brands and their customers. Damien is Senior Product Manager for LinkedIn’s multichannel communication platform (email, push notification, SMS). He is passionate about blending quantitative methods with qualitative insights and customer centricity. Before joining LinkedIn, Damien was leading Product and Software Engineering at Weekendesk.com, Europe’s leading platform for weekend breaks. 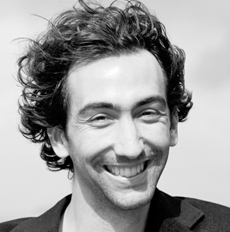 Damien holds a MSc from Imperial College London, a MSc from Telecom ParisTech and an MBA from College des Ingenieurs Paris. Diana Primeau is Director of Member Services, Audience Development at CNET, the No. 1 source for researching tech and consumer electronics and the world's largest and most-trusted tech media source for news, reviews and downloads with more than 100 million unique users. Primeau brings decades of experience to CNET, where she leads a cross-functional team that drives site engagement, increases subscription conversions, maximizes social and traditional email registration and pristinely manages email lists comprised of millions of unique visitors. Prior to her 10 years at CNET, she was Vice President of Cross Product Initiatives at Macromedia. Jacquelyn Kearns is a seasoned digital visionary and strategic marketer who provides strategic direction and management for Dun & Bradstreet’s digital properties, mobile, ecommerce and demand generation. As a proven leader and technologist, Jacqui leads a team of marketers to drive profitable growth by focusing on the customer. With more than a decade of marketing and product experience, she cultivates an approach that integrates technological preferences to brand authority, which has proved to increase awareness, loyalty and improve marketing capabilities. She previously held posts with Morgan Stanley Investment Management and New York Life Investment Management. Jeannine D’Allegro is a tenured digital visionary with solid, effective experience and performance within senior and executive leadership environments. As a “big picture” thinker, Jeannine is currently a leader of a digital marketing team at Dun & Bradstreet where she uses her expertise in the digital space. Her extensive experience in the latest digital technologies within customer experience, content management, ecommerce and social media gives her the leverage to lead teams that continually drive business outcomes that exceed plan. Prior to joining Dun & Bradstreet, she held management positions at IBM and MetLife. Jeff leads the innovation and integrated marketing communications strategy for Churchill Downs Racetrack and the legendary Kentucky Derby, including the development of new ticketed products, on-track experiences and content for the world’s largest 4K video board. Prior to joining Churchill Downs, Jeff held brand management roles at Colgate-Palmolive and Johnson & Johnson where his accomplishments included the launch of Colgate MaxClean toothpaste and K-Y Yours + Mine personal lubricant. An active improv comedian with over 10 years of experience, Jeff holds a dual-degree in economics and psychology from the University of Pennsylvania and an MBA from NYU’s Stern School of Business. Jeffery Anderson is a digital marketing manager at A Place for Mom, a senior care and senior housing referral company based in Seattle. He manages A Place for Mom’s promotional email program that has seen steadily increasing engagement over the three years since it its inception. Anderson largely attributes this success to an ongoing focus on list hygiene and smart list-pruning. A Place for Mom’s email program received awards from WhichTestWon in 2013 and 2014, including “Best in Show” in WhichTestWon’s 2014 email testing awards. Jessica is one part massive email and online marketing nerd and one part permission-marketing evangelist. She acts as a strategic consultant and subject matter expert for brands, corporations and nonprofits nationwide. She's spoken for audiences of a dozen to over 300 from Wichita to New York City to SXSW Interactive in Austin. Jessica’s primary role is as speaker, digital marketing evangelist and content marketing manager for emfluence, where she implements the best practices she preaches for emfluence’s own marketing strategy. An email marketing practitioner since 1996, Red Pill Email founder John Caldwell has been involved in over 50 ESP vendor selections for major clients since 2005 and has produced an annual Email Vendor Features and Functions Guide since 2009. He is a Member of the Email Experience Council of the DMA, serving as Chair of the Marketing and Membership Subcommittee for 2013-2014, Co-Chair of the Email Measurement Accuracy Roundtable/Advisory Board from 2009-2013, a member of the former Speakers Bureau, a MAC Committee member and member of the former Career Paths Roundtable. John was also named as one of the “50 Marketing Leaders over 50 You Should Know” in the May 2013 edition of Global CMO Magazine. A lover of content, customers and cats, Justine Jordan is a recovering designer masquerading as a marketer. Once responsible for designing, building and managing email campaigns for ExactTarget customers, Jordan is now director of marketing at Litmus, where she leads content marketing, customer education and research initiatives. She's strangely passionate about this email marketing thing, hates being called a spammer and still gets nervous when it's time to hit the send button. Kate Ellis is a marketing analyst for Churchill Downs Racetrack and The Kentucky Derby, where she leads the strategy and execution of email marketing for both brands. With previous experience in database, loyalty, product launch and social media marketing, Kate is passionate about marketing decisions driven by data. She is an avid horse lover and enjoys bringing new fans to The Kentucky Derby. She holds a dual degree in management and economics from Rensselaer Polytechnic Institute and a Certificate in Equine Business from the University of Louisville. Lauren Wagner is the Senior Manager of Engagement at VolunteerMatch, the Web’s largest volunteer engagement platform. Lauren also serves as the administrator for VolunteerMatch’s sales and marketing systems including Salesforce and Pardot. Passionate about philanthropy and volunteering, Lauren organized a partnership between the International Bird Rescue and Research Center (IBRRC) and Enterprise Rent-A-Car to set up donation points at various ERAC locations after the Cosco-Busan oil spill in 2007. She has also donated her time volunteering for many organizations such as Craigslist Foundation, S.M.I.L.E. Science and Atmos Theatre, where she served as president of the board of directors from 2011-2012. Lauren holds a BA in psychology from Penn State University. She currently lives in San Francisco. Mary Abrahamson is an Email Marketing Specialist at Ferguson Enterprises, the largest wholesale distributor of residential and commercial plumbing supplies, with operations spanning multiple business groups including bath, kitchen and lighting. She boasts a strategic, multi-channel approach with a keen eye for customer cultivation. Both at ForRent.com and Ferguson, she has worked in the B2C and B2B worlds, and although her skillset is vast, her greatest expertise is in campaign implementation and reporting. She is also lover of all things food, which shines through from time to time on her blog, Mary in the Kitchen. Michael Kelly helped to found ClickMail in 2000, bringing 16 years of experience to the company. Today, he has been in the marketing industry for 19 years, and he is regarded as one of Silicon Valley’s most knowledgeable email marketing experts. Michael has an in-depth knowledge of technology and how that technology can be used to customize ESPs for maximum effectiveness. Michael can speak to both the technical and business aspects of an email strategy. He understands the complexities of a technology but communicates the results in layman's terms for his business audience. An in-demand speaker, Michael regularly presents at ESP and industry user conferences and has also been on the faculty at USF (University of San Francisco) and ASM (Association of Strategic Marketing), teaching and sharing best practices in email marketing. Preston is the CEO of Sewell Development Corp., a consumer product design company. Preston started working for the company part time in 2002 while earning a degree in economics and accepted a full-time position after graduation when he realized that economists don’t really know anything. Sewell’s best-selling brands include the house brand (home theater connectivity products), MOS (mobile accessories) and Saffron (LED lighting). Ryan Phelan brings over 15 years of online marketing experience to Acxiom as the Vice President, Global Shared Services. 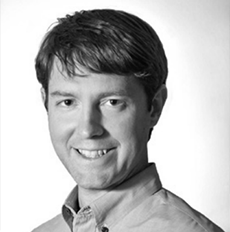 Prior to his time at Acxiom, Ryan contributed at a senior level at BlueHornet, Responsys, Sears/Kmart and infoUSA. Ryan is a nationally recognized thought leader, writer and distinguished speaker on subjects relating to using complex data practices to drive effective strategies in CRM, email marketing, social and mobile. Ryan was recognized as one of the top 30 digital strategists in 2013 and was a keynote speaker at the 2012 and 2014 Email Evolution Conference. He is heavily involved in industry organizations as a member of the Board of Directors for the ESPC, is currently serving as the Chair of the Email Experience Council (email arm of the Direct Marketing Association) Member Steering Board and is on the Advisory Board for Direct Marketing News (DMNews). Shari runs communications and business development at VolunteerMatch, the Web’s largest volunteer engagement network. A writer who's passionate about nonprofit capacity building, she regularly engages millions of do-gooders online. Previously, Shari led marketing and outreach at GreatNonprofits and worked with Net Impact and the Stanford Office of Development. Bred in Boston, Shari graduated from Stanford University with a BA in psychology and a BS in biological sciences and got hooked on the Bay Area lifestyle. With good food, good wine and good weather, the only thing that's East coast about her now is her allegiance to Boston sports. Shaun Brown is a partner with nNovation LLP, an Ottawa-based law firm that specializes in regulatory matters. With several years of experience both in the public and private sectors, Shaun's practice focuses on ecommerce, e-marketing, privacy, access to information and information security, assisting with compliance and representing clients before tribunals and in litigation-related matters. He speaks and writes regularly on privacy, marketing and information management issues and is the co-editor and co-author of Privacy Scan, one of Canada's most popular and insightful resources on Canadian privacy issues. Shaun has an in-depth understanding of the online marketing industry, both from an operational and legal perspective, and has worked with many organizations across various sectors in complying with Canada’s Anti-Spam Legislation and related online marketing rules. Shawna Dahlin, Senior Email Marketing Manager, Microsoft Store, directs the email marketing channel for the global retail stores division. Her omni-channel program drives both online and foot traffic to microsoftstore.com and brick-and-mortar Microsoft retail stores. Shawna has 10 years of marketing experience, including eight years in online marketing at Microsoft. Shawna lives in beautiful Bellevue, Washington and holds a B.A. from the University of California, San Diego. Stephen is a 15-year, data-driven multi-segment content marketer at Precor. 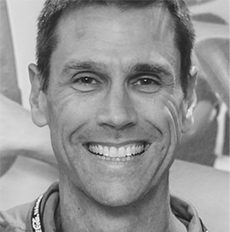 Responsible for prospecting, MQL generation and conversion to SQLs, Stephen’s team develops and implements multi-channel, lifecycle-nurturing campaigns to support the Precor go-to-market strategy. Stephen Hiller is a Lead Web Developer with LinkedIn’s Communications team and has been part of the team for the past two years. He is responsible for maintaining email standards and managing the user experience for all of LinkedIn’s email. Previously, Stephen was a Software Developer for Bunchball, building their next generation gameification platform. Stephen graduated from the Rochester Institute of Technology with a Bachelors of Science in biomedical photographic communications and a Masters of Science in information technology. Get updates about speakers, the agenda, special offers and more. Email Summit 2015 has come and gone. May 7-10, 2018, at the Aria Resort & Casino Las Vegas. Email Summit 2015 has concluded.